Do you have a difficult time shopping for an outdoor enthusiast on your shopping list? It can be difficult to buy gifts for the avid hikers in your life. It seems they are always on the go and if they are not they are dreaming about their next great outdoor adventure. Here are 25 Gifts for Hikers ideas for your favorite trekker that they will not only love, but they will also be able to use them when they go out and hit the trails. There’s nothing worse than when you are hiking and your cell phone or GPS unit dies on you. 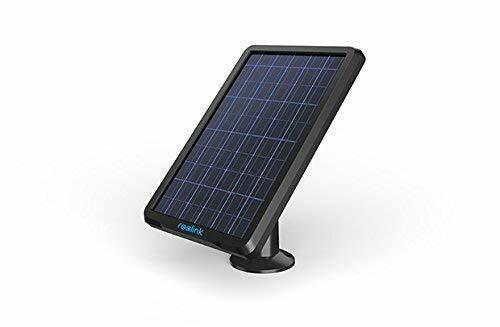 If you want to make sure your loved one never gets caught with a dead battery, consider getting them a solar panel recharger. The unit is shockproof, waterproof and dustproof. It even includes a LED flashlight and features two dual USB ports. They will never be caught out in the wild without a phone or navigation aid if you add this handy little device to their camping supplies. It will make a great gift for any hiker in your family. There is nothing worse than when you have been hiking all day and your feet get dry, sore and cracked. 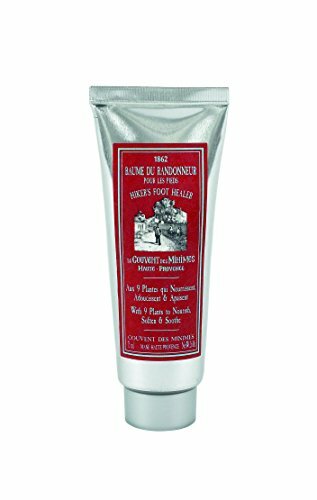 With this great foot cream, you can give the hiker on your Christmas list some relief from this painful condition. With 9 different botanical ingredients, the cream is all natural. After one use, they will be thanking you and wanting to buy some more foot cream to keep in their backpack at all times. The tube is small and easy to fit into any sack without adding any extra weight. It soothes feet and softens skin. Your hiker will thank you for getting it for them. The one thing hikers always need is socks, but not just any socks. 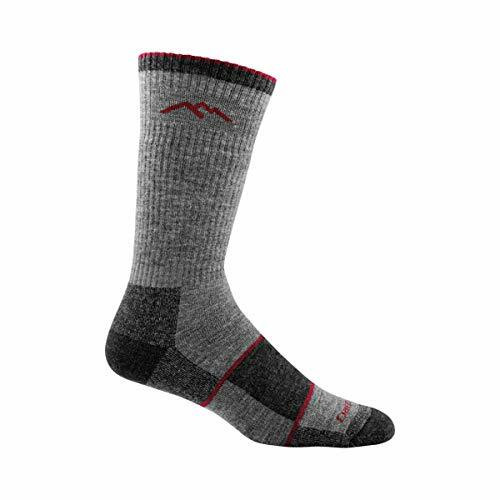 Hiking socks are specially designed to wick moisture from the feet to help keep them dry and comfortable all day long. These socks provide cushioning to the parts of the foot that need it and add support to those areas where extra support is appreciated. The socks are also designed to look fashionable as well. They are specifically designed by hikers for hikers so they are sure to be a hit with any of the hikers on your holiday shopping list. For any hiker that has ever taken a summer trek, it is obvious that bugs and mosquitos are ever present and ever ready to make your trek a miserable one. Help your loved one solve this problem by buying them a mosquito mask hat. 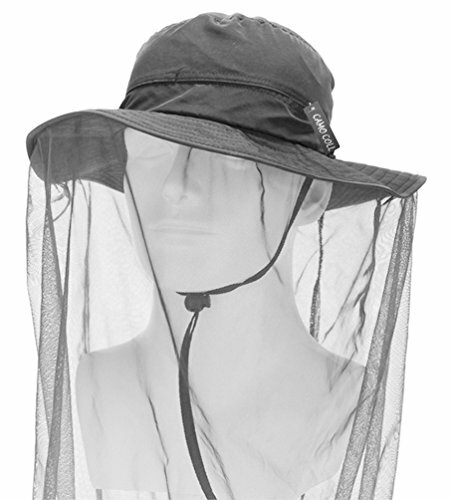 This great 100% polyester hat has netting to keep the bugs away. It features ventilation to keep you cool and it offers protection from the sun to help prevent sunburns. Any outdoorsman on your shopping list can get some use out of this hat. It is a unique gift they probably will not be expecting. When you have been out trekking the mountains or forests all day your feet become very tired. Hiking Shoe Insoles can help ease some of this discomfort. 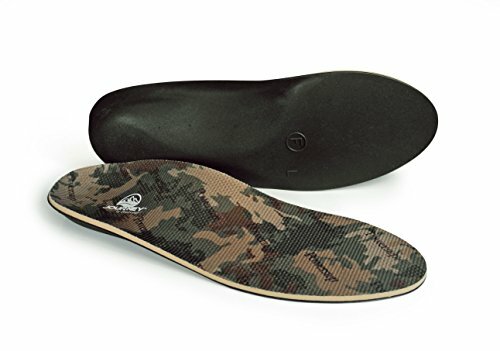 They help provide greater foot stabilization and arch support. They are also shock absorbent. They provide comfort that is long lasting and features an anti-microbial top covering. You can move them to whatever hiking boots you may choose to wear, so they are not stuck in just a single pair. The hiker on your list will love these the first time they try them out. 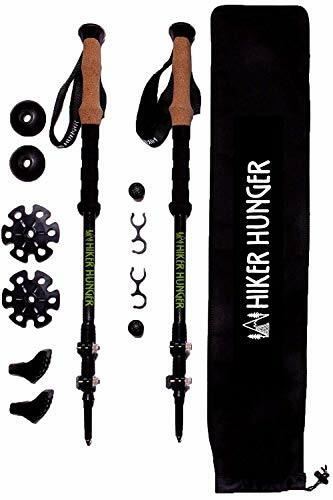 When you are hiking over rocky or treacherous terrain a good pair of trekking poles can be lifesavers. These trekking poles weigh less than a pound combined weight. They come with a handy travel bag and they can be collapsed so they are small enough to carry in your pack when they are not in use. Just get a pair and watch the hiker in your family as their face lights up when they open them. Each pole also features a comfort grip handle and a wrist strap so they cannot be dropped easily. This is a great gift idea that your hiker will be sure to thank you for. When going for a hike weight is always a concern. 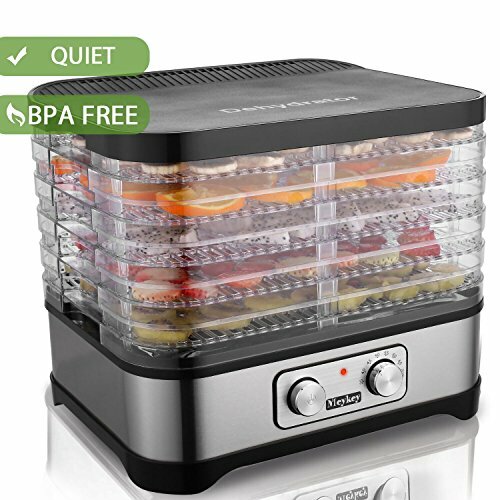 With this handy home food dehydrator, you can give your favorite hiker a way to help carry nutritious snacks with them without the extra weight of carrying fresh fruits. Dehydrated foods do not need to be refrigerated. They are much lighter to carry because all the water is gradually removed from them. This is a gift that can also be used around the house between hikes. You can use it to make your own trail mix and save a lot of money at the same time. The unit is great for fruits or meats. You never know what kind of hazards you will encounter when you are out hiking. For the hiker that has it all, consider getting them a Paracord survival bracelet. These bracelets are made of high-quality nylon that is both corrosion resistant and features anti-aging resistance. They are also waterproof. The built-in compass will help them find their way if they get lost. The bracelet is adjustable to fit different wrist sizes and includes an emergency knife, fire starter, and a whistle. 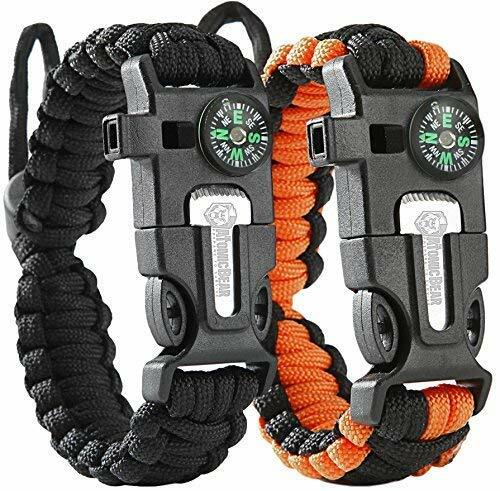 Rest assured that the hiker on your Christmas list will be more prepared should they face an emergency situation by wearing this nifty little bracelet with them when they are hiking. Everyone who loves to be out in the woods needs a good water bottle holder to take along with them. Why not give one to them as a special Christmas gift. 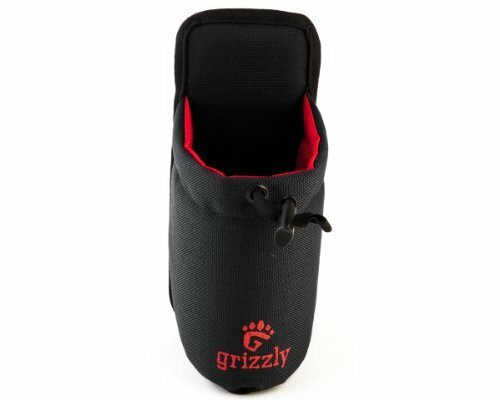 These tough adjustable water bottle holders can also be used to carry other accessories that may be needed. They have drawstring closures and are fully adjustable. They are specially designed to keep your beverages cool during the day. Don’t let your loved one venture out on their next adventure without this handy water bottle holder attached to their belt. They will be happy to find one of these under the tree this year. 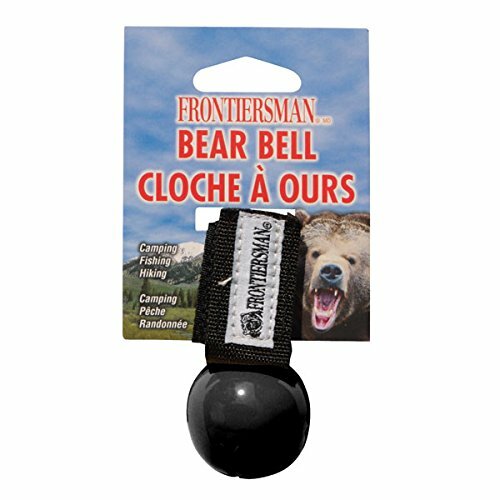 For anyone who may be hiking in bear country, a bear bell is a necessity. If you are looking for that hard to shop for hiker on your list, consider getting them one of these potentially lifesaving devices. With a Velcro attachment, you can wear this bell anywhere. As you move along the trail it will ring and warn any bears in the area of your approach so they can leave before your loved one reaches them. The bell even has a silencer so you do not need to listen to it ring all the time when it is not needed. This is a great gift for someone who seems to have everything. A backcountry walking Stick is a good addition to any hiking pack. This stick is versatile. It folds into three sections for easy carrying but it can be extended from 51” to 54” when you need to use it on rough terrain. It has a comfortable black rubber grip so it will not slip from your hands while walking. 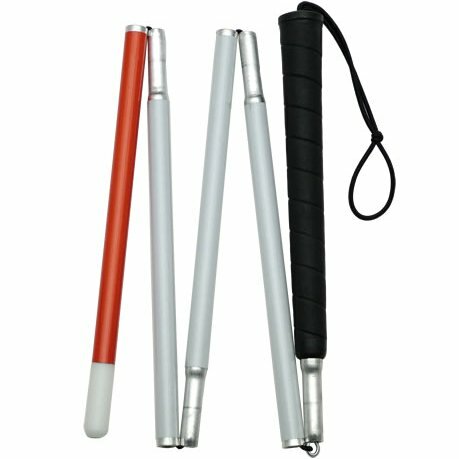 It is a lightweight hiking cane that is designed to assist you on tough walks but is not designed to be weight bearing. This is a handy little stick, that won’t add a lot of weight to a pack, for your favorite outdoorsman. 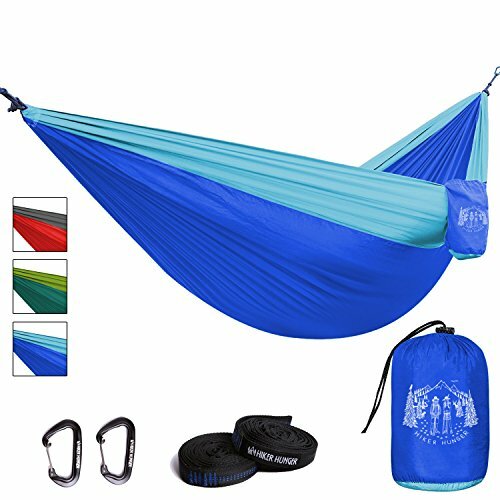 For the ultimate in comfort, consider purchasing this amazing outdoor hammock for your favorite hiker. This large hammock is comfortable and large enough to fit two people. It is made of tear-resistant parachute fabric. It features triple stitched straps and strong carabiners so you have everything you need to set it up and get started relaxing. It is made of a quick drying strong fabric and can hold up to 600 pounds. It is easy to set up and includes a convenient carry bag for easy travel. This is sure to be a hit with anyone on your list that enjoys the great outdoors. An important item to carry with you when hiking is an emergency survival kit. These kits make great gift ideas. There is nothing better you can do than to help keep your favorite hiker safe during their next trek. 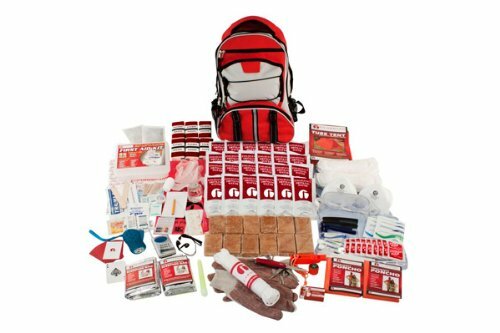 This survival kit has everything they may need to ensure safety. It comes complete with water pouches, food bars, and water purification tablets. It has all kinds of survival tools and first aid supplies. It comes with a rope, a flashlight, a radio, and even personal hygiene products. It includes many more items. This is truly a survival kit, as much as it is a hiking kit, so it makes a great gift for any loved one on your gift list. Knee sleeves are typically worn by bodybuilders, but they can make a great unique gift for the hiker on your gift list. 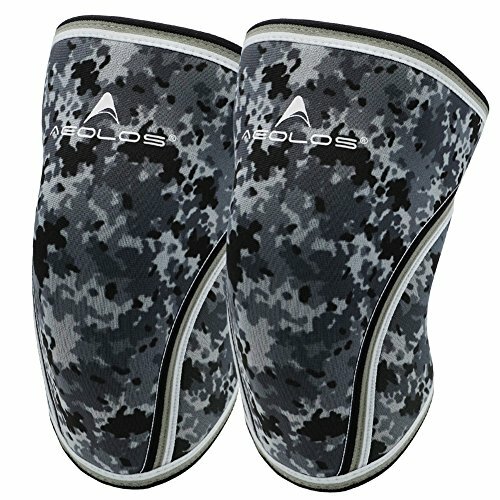 These knee sleeves help provide knee support while engaging in strenuous physical activity. They are made of a breathable comfortable fabric. They help stabilize the knee and reduce the chances of injury. They promote blood flow and reduce the chance of injury. Wearing these while hiking can provide knee support while traversing challenging terrain. Most hikers do not already own a pair which is what makes these knee sleeves a great gift idea for that hard to shop for hiker. For those hikers that really enjoy the newest electronic gadgets, this might be for them. The hiking smartwatch is designed with the hiker in mind. It features a built-in navigation system so they will never get lost. It has a long battery life for those long treks in the wilderness. It can mark your starting point and monitors your walking speed, distance, and pace. It is 100% water-resistant. It can also monitor and report local weather conditions and contains a built-in altimeter, thermometer, barometer, and hydrometer. It monitors your heart rate and syncs with your smartphone to give you even more features. This is an ideal gift for that geeky hiker in your family. 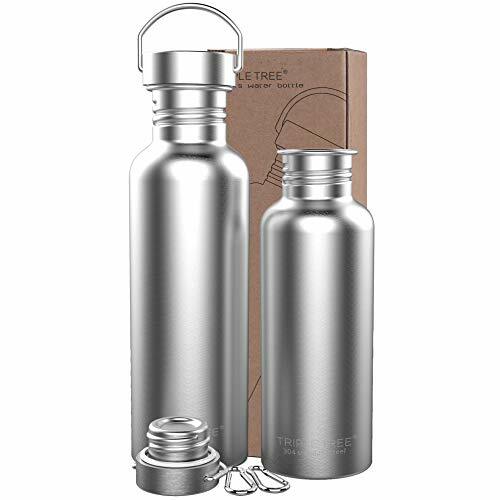 If you are looking for an inexpensive gift option, consider a stainless steel water bottle. These heavy duty bottles are designed for the outdoor enthusiast. They keep your water cold all day and they can be attached to a hiking pack easily with a carabiner. These bottles are PBA free and they are leak-proof, just like every hiker needs. They have a shiny exterior so they will not easily get lost and will last for many years to come. They are available in three sizes to accommodate every hiker on your shopping list. This handy little die cut tool card is small enough to fit in your wallet, but it has essential tools that can be very useful in the field. This amazing little card packs in 40 different tools to make it an ideal gift for the trekker on your list. 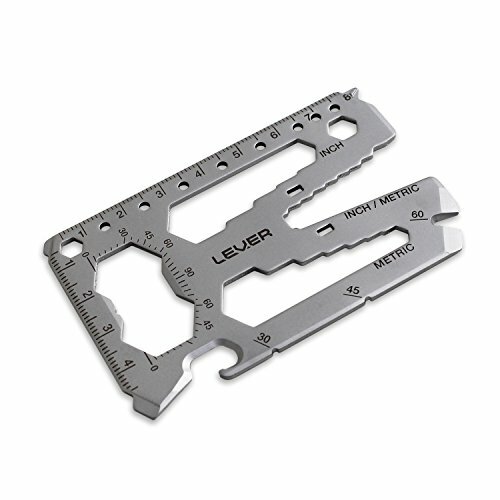 This little stainless steel card can be used as a bottle opener, pry bar, ruler, cord cutter, screwdriver, hex bit driver, wrench and more. This handy device takes up no room but is useful for so many things. Every avid hiker should have one because you never know what you might need in the wilderness. You never know when you may get stuck outside after dark. This handy emergency kit can come in handy. If you are camping it is ideal to bring along. It is compact in size, yet contains so many things the hiker or camper in your life can use in the field. 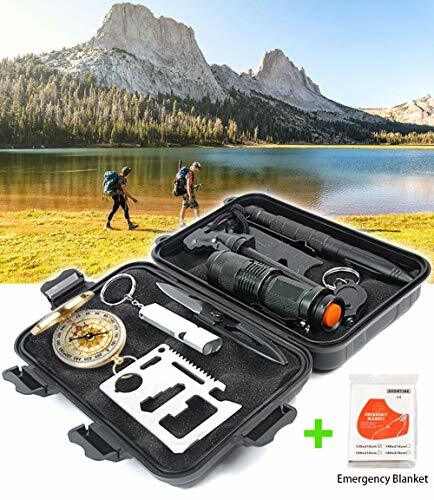 The kit includes a flashlight, fire starter kit, whistle, knife, scale, compass, credit card multi-tool, bright light LED keychain and a tactical defense pen all in one handy carrying case. Whether for an emergency, a camping adventure or just for peace of mind while hiking, this is a great gift for any outdoor enthusiast on your list. 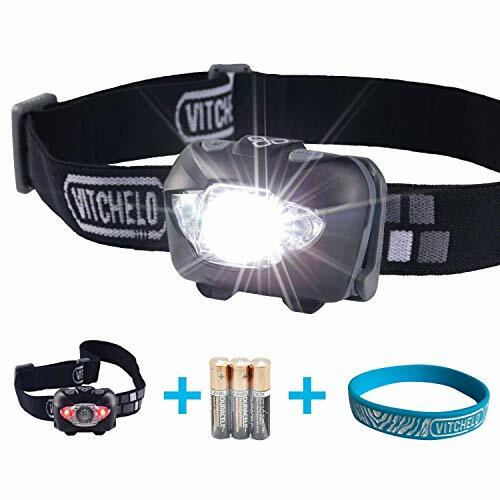 A great gift idea for the hiker on your list is a handy headlamp. It can provide plenty of hands-free illumination for those long night treks or for camping adventures. It can fit directly on your head or over your favorite hat. It sheds light up to 360 feet away. It is easy to use and it is very lightweight. It features both red and white lenses and it has a strobe light feature built-in as well. It is dust and waterproof and offers 12 hours of battery life on just 3 AAA batteries. This is a great little gift that any hiker on your list will thank you for. Snittens are an amusing gift that is perfect for those who are not deterred by cold weather hiking adventures. They are designed to absorb over 28 times their weights in snot and tears that may form while hiking in cold weather. Even if your favorite hiker does not use these in the field they are a fun little gift that is sure to get a laugh out of them. 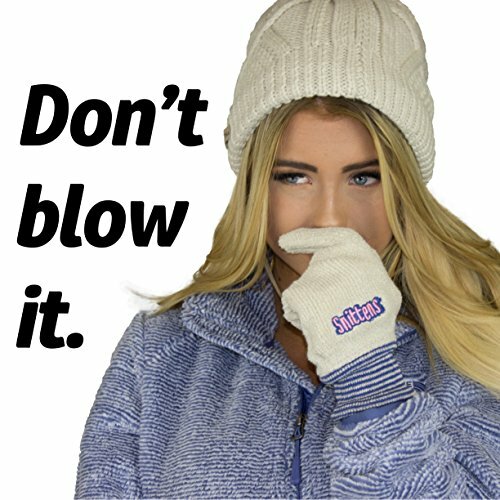 They will keep your hands warm and dry and help you wipe that unpleasant runny nose without removing your hands from the warmth. With snittens, there is never a reason to stop your hike just to dig out a tissue to blow your nose. Who wouldn’t love a pair? Even if they don’t use them, they are sure to get a smile from them. This is a great gift idea for your friends who enjoy active outdoor activities. 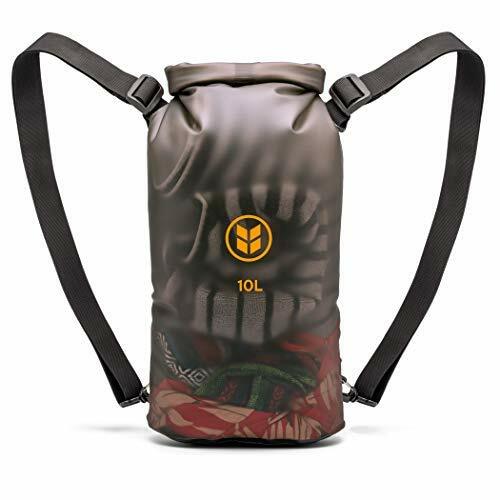 This insulated pack is BPA free, holds up to 2.5 Liters of fluid and can keep liquids cool for up to 4 hours. 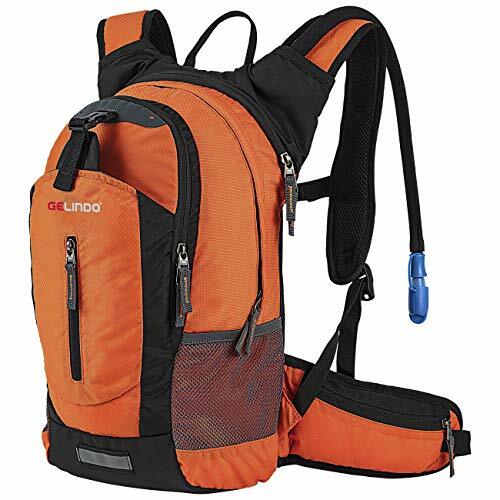 The water bladder is housed in a useful backpack that can be used to hold all your other hiking gear. It is a comfortable pack to wear. It is breathable and ergonomically designed. The shoulder straps are adjustable and the back is made of breathable mesh. This is a great gift for any outdoorsman you may know. The worst problem you encounter when you are hiking are the sudden storms that can come upon you when you least expect them. A great gift idea for the hiker on your list is a waterproof sports bag. These bags are designed to keep your electronic equipment, maps and anything else you may need dry, even during the most inclement weather. With its large 10L capacity it is large enough to hold everything you may need to keep dry. It is soft, supple and flexible so it can easily be stored when not in use. It weighs less than a pound so it can be brought anywhere. The fabric is tough and tear resistant. These bags make great gifts for outdoor enthusiasts. Everyone that enjoys hiking understands how useful a GPS is to have. Most GPS units are handheld. 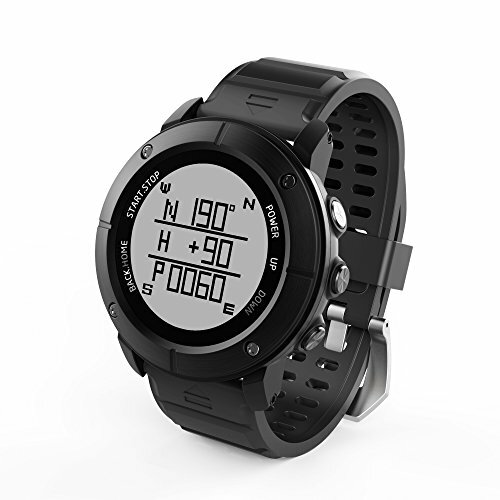 Give your favorite hiker the gift of a GPS watch and free up their hands to do other things while they are out trekking. This handy device will sync with their Android device to record the distance and time traveled. It will also record route information. 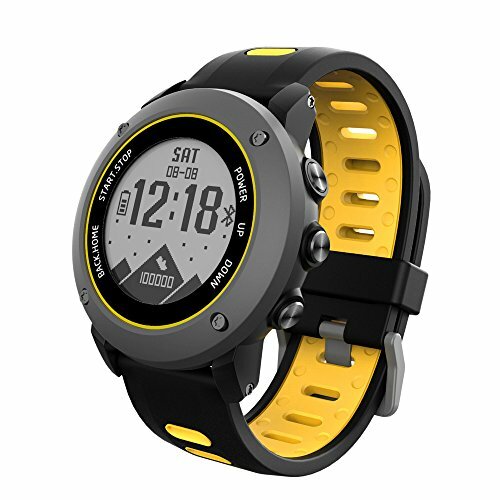 This is a great watch for any hiker that is trying to track their progress so they can improve their performance. It is also water resistant so you can use it to record your swim times as well. The active person in your life will really enjoy using this simple little watch for all their fitness needs. When hiking in the mountains you never know when you are going to encounter inclement weather and possibly freezing conditions. 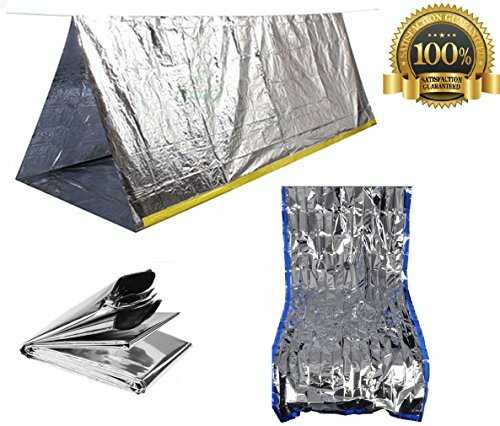 This emergency Mylar tent and sleeping bag are ideal for this sort of situation. Give your loved one the gift of safety and security if they find themselves in this situation. It is lightweight and has a reflective surface when the sunlight hits it. This is great in case they get lost. The lightweight sleeping bag is made of thin aluminum that reflects body heat back toward the user, yet remains flexible in freezing conditions. This great kit may help protect your loved one when unexpected freezing conditions occur. It can also ease your mind knowing they are safe, no matter the temperature outside. When you go hiking and camping, towels take up such a large amount of space in your backpack that it limits the number of other important items you may want to carry along with you. Give your loved one a micro towel set and eliminate this problem forever. The YuccaTowel microfiber towel set is designed to be lightweight and compact. 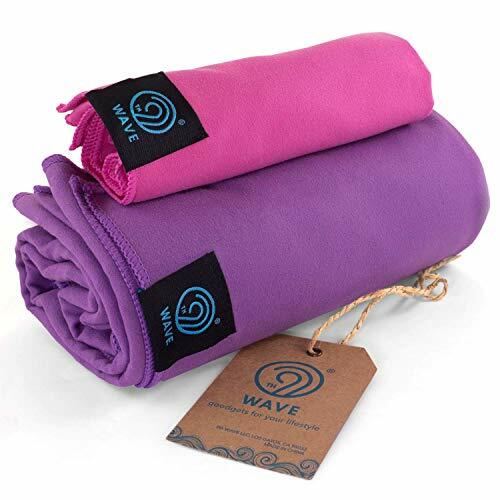 They are fast drying and the ultra-suede finish feels soft and gentle against your skin. They are designed to absorb 4-6 times their weight in moisture, which makes it far more absorbent than a bulkier cotton towel. They come in different sizes to meet all your hiking needs. Consider buying some of these for every hiker on your list. They will appreciate the thought.